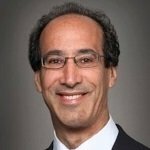 Dan Nathan Joins Morvillo LLP in New York and Washington, D.C.
Browse: Home / People, Top / Dan Nathan Joins Morvillo LLP in New York and Washington, D.C.
Daniel Nathan has joined law firm Morvillo LLP as a partner in its New York and Washington, D.C. offices. The firm announced yesterday that Nathan’s practice will focus on the defense of financial institutions and individuals in investigations, examinations and actions before FINRA, the SEC and the CFTC. Nathan joins Morvillo LLP from Morrison & Foerster, where he was a partner. Previously, Nathan served for 12 years as an Assistant Director in the Division of Enforcement of the SEC, where his cases included the investigation that resulted in the seminal insider trading case of U.S. v. O’Hagan. He also served as Deputy Director of Enforcement with the CFTC and Vice President in charge of FINRA’s Regional Enforcement Program.